Well it's official. I've fallen off the bloggy train and have lost all sense of when I last posted anything! It's been the craziest start to a school year EVER!! And I'm so not even nearly caught up. My 5 for Friday is going to be a recap, which will serve to show you just WHY I'm exhausted. Firstly, it's 11:11pm Saturday night. Step one in making a tired teacher is to stay up too late. Sure it's Saturday, but I have to be at church early tomorrow!! So just why am I still wide awake at this hour? And why is this not a new thing this week? BECAUSE IT'S SO MUGGY!!! ARGH it's horrible!! Give me days upon days of snow that barricades me into my house over this unbearable humidity. Don't get me wrong, I LOVE summer. Best time of the year! What I don't like is the two month block of time after summer break where the weather ACTUALLY gets nice, and I'm no where near the river at my parents place to go swimming. It's now 11:15pm, and the current temperature is 23C - or 70F. TOO MUGGY!!! Two - We have ERO coming to our school this week. For those of you not in New Zealand, ERO stands for the Education Review Office. Because education is nationalised in New Zealand, there is one central agency that comes, on average, every 3 years to every school in New Zealand. They basically check the school strategic plan, and see if what we are teaching in our classes lines up with that plan. Now I'm not one to just fluff up my teaching for the sake of an observation (I'm quite happy for anyone to come to my room at any time and take a look at what I'm doing. If I'm doing something good, awesome. If I need to change something, great - I get a chance to change!). However, this week I've also had two days out of my room. One day I was out of school at a funeral, and the second day we were relegated to the tech rooms while the network upgrade people put the new school server in the office off my room. No real issues with my kids, just a wee bit annoying when we can't do our regular programme. Three - as part of the ERO visit, their focus is seeing how the children are aware of their current achievement - and more importantly their next steps. Now I'm 100% all about this! However, because this week was so mixed up, I'm not nearly as far through getting my kids acquainted with their levels, and next steps as I would have liked at this point in time. So I spent today *Saturday* in my class putting up the displays I WAS going to put up with my kids over the past week. They are rubrics, and goal setting displays, and national expectation benchmark displays. All important things, just things I would have preferred to work on with this kids, rather than do all by myself and then have to double back and go over again with them. Earlier targets. I have kids who range from before these targets, to nearly achieving all the stage 6 targets. HUGE differences. Reading corner. Our "Response to a character" wanted posters, based on the book "Enemy Pie"
We will now learn how to assess our writing against the rubric - and give ourselves a level! Four - After all those displays, I also unpacked my kids stationary, and left my room in a mess. Will have to go back again tomorrow just to tidy up!! Five - Technically this was last week, but I've not posted in that long that I'm posting now anyway! My friend Carrie was up in Auckland for Spaceup unconference. Anyway, last Friday we headed along to the lantern festival in the city centre. It was amazing! Such beautiful lanterns!! This guy was my favourite!! Here we are after about 20 failed selfies, with an awesome photo! Right - I'd better get to sleep, it's now almost midnight and I still have to get up early to play at church tomorrow!! 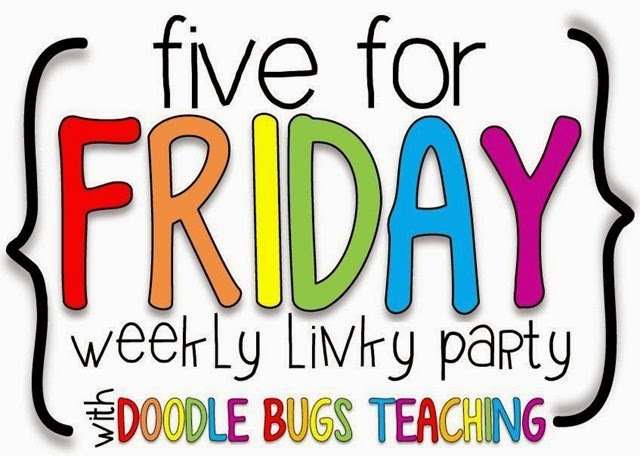 I'm linking up with Doodle Bugs Teaching for 5 for Friday! Ok so let me preface this with - this game was a total fluke that came about because my kids don't know the difference between a dictionary and a thesaurus. TOTALLY COOL!! They do now! Right, so we had 10 minutes to kill at the end of first block today. I got my lunch monitor to hand out the fruit of the day (plums!! YAY!!) and then thought to myself "instead of sitting here doing nothing for the next ten minutes while the kids are eating, let's play hangman!" (Which by the way is totally my go-to literacy time filler. I'm useless at choosing good words, so I asked a kid to get a dictionary for me. And she brings me a thesaurus. Hmmm...Totally works still, but not quite what I wanted. That's ok I thought, and then I taught the kids about synonyms! Actually this was the first time our "Teach/Okay" worked like a charm!! I'm still getting the hang of some of the more intricate Whole Brain Teaching things. And then we played hangman with a synonym of that word! So it could be enormous etc. The kids loved it SOOOOO much more than regular hangman! Go on - Try it tomorrow. Totally easy way of teaching synonyms/antonyms. You could even do parts of speech! Eg Noun in the classroom - and then play with desk or cupboard. 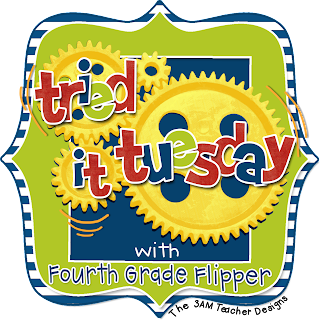 The possibilities are endless, and it takes a time filler that really didn't teach the kids anything, and turns it into a learning opportunity the kids are totally unaware of! Note - my two hardest to motivate kids were COMPLETELY enthralled with this game. Total winner with the boys. Never the less, the school year has well and truly started, and while I was going to spend the first two weeks in "getting to know you, setting expectations" mode, I've decided to skip all that nonsense and just get straight into my guided teaching programme as of tomorrow. Oh wooooaah!! "Slow down" I hear all you veteran teachers out there saying... I'm good. Trust me, I'm a teacher. Haha, I've always wanted to say that. Right I'm getting off topic. MY POINT is, I can remember being at school and having to do all those "All about me" posters, and the holiday writing, and all that other stuff that was the SAME EVERY YEAR... (even if the teacher was clever enough to change things up slightly, it was still the same thing) so I will be teaching my students the routines, and expectations etc. in the context of how we will actually be learning this term. Besides, we work very closely as a team at my school, so there are only 5 kids in my class that I didn't already know/hadn't already taught at some point. ANY way, I feel that I've gotten off track. This is what I WILL be teaching this week. I'm going to start each day with Jivey's Mentor Sentences! I love how she has set this unit up in such an easy to use way. AND I love that I have finally managed to find most of the books that she uses! Apparently, New Zealand libraries/book stores don't like to stock the books I need. If you haven't seen what these mentor sentences are all about, you DEFINITELY need to head over to Jivey's blog and check them out. My Reading Circuit will be the main focus of this week. I wont be teaching guided reading groups yet, but I will be going over all my expectations/routines/everything with a fine tooth comb with my kiddos so that this gets off the ground PERfectly. Maths - We are working on Statistics skills this week. I will cover everything from tally charts to pie graphs, stopping in at the land of bar graphs, and pictograms on the way. Writing - We will be writing boring stories this week. The kids will ONLY be allowed to use simple sentences to tell their stories. For two reasons. 1, so that they craft perfect sentences each and every time. 2, so that we can see why authors use a variety of sentence structures in their writing. (I've never done this before, so HOPEFULLY it has the desired effect). Stop back later in the week to find out if it worked!! I also have to choose my student council, train our road patrollers, and have a parent meeting about camp this week! GOSH it's going to be a busy one. But that's okay, I like it busy!! I'm linking this post up with Mrs Laffin's Laughings "Peek at my week" linky. Think of it kind of like the US "Independence Day" - except we are still part of the commonwealth, and our land wars occurred AFTER the signing of this document. (I don't get it either, even though History was one of my best subjects at school). On the 6th of February 1840, representatives of the British Crown and over 500 Maori chiefs signed The Treaty of Waitangi. This is our founding document. Because of this, since 1974 we have had a public holiday on Waitangi Day. Waitangi Day holds different significance to different people. To some, it's a day of cultural celebrations, and a chance to collectively grieve over some of the wrongs the Government (through the Crown) has committed. To others, it's a chance to catch up on sleep, or head away for one last summer jaunt. 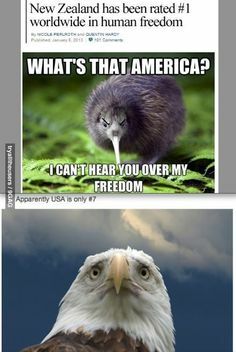 For me, it's a chance to be thankful that I live in the best country in the world. And so that is why, this Thursday evening as I prepare for bed, I have to set extra alarms, so that I don't sleep in tomorrow, thinking that it is Sunday. It is why I have to keep reminding myself that I still have to get through Friday before the weekend. It is also why I will probably wear my church clothes to school tomorrow. Oh my gosh I'm exhausted!!! We are now officially done with day 2 of the 2014 school year - only like 186 or something to go! Haha!! I quite like having a count down timer on my blog, but the most exciting thing I can think of that is coming up is my birthday. And well, since I only just had my half birthday yesterday, I need to think of something else before then! Oooo maybe camp?! Anyway, I digress. Teething problems are normal in any job, especially at the start of the year. I moved rooms at the end of last year (as has been the norm my entire teaching career. Hopefully this will change as of this year! I'm planning on staying put now, and only something huge will move me!). I am soooo lucky to have a wonderfully large room with a Mimio projector in my class - and I LOVE it. So far I've only used it like a regular white board, just on the computer, but I need to have a play with it yet. My problem though - It goes MENTAL for the first 30-40 minutes each morning. I'm not sure what is wrong with it, but I'm pretty sure it's the sun! From about 730-945 ish each morning, my board is flooded wiith brilliant sunlight (which will probably dissipate as the winter months come. This sun is gorgeous, but it honestly makes the board goes crazy!! The mouse plays on it's own, and it recalibrates itself over and over again. Weird? Absolutely. Actually I take it back, the sun isn't doing it, I think there are ghosts, or gremlins living in my room. They only come out for those two hours, and then they hide again. Crazy I tells ya! Crazy!!! So really, there is no curse. Just crazy little men running around my classroom in the morning, playing with my board, making me annoyed. I guess we just do some old school learning til 10? Suits me fine. On a lighter note, head over to either of these pretty awesome blogs for your chance to win big. 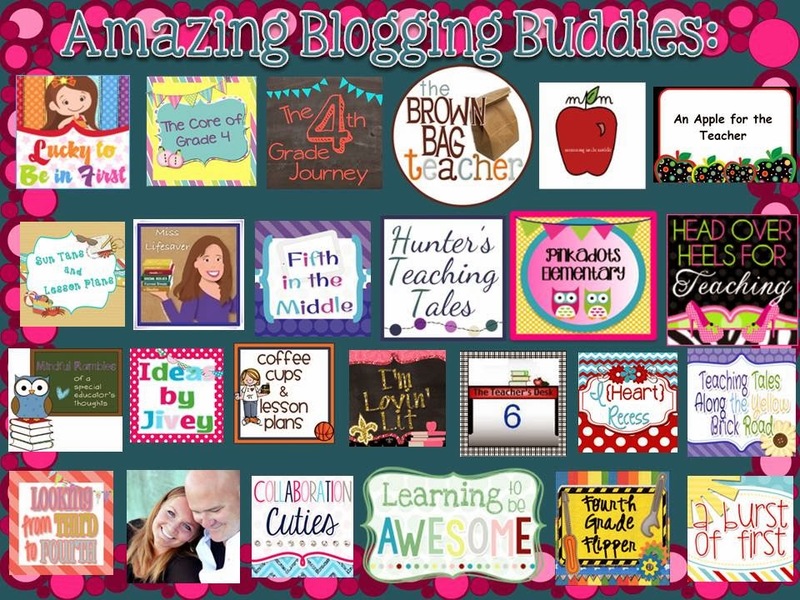 Check it out at any of these awesome blogs!! Does anyone have gremlin repellent handy? Ok - just a few explanations. Listening - At our staff back to school PD days, we had a stay at our local marae. This included having a powhiri (Maori welcome), and then we stayed the night. I had a lot more fun that I expected too, and part of the night activities included learning our school pepeha. A pepeha is the story of your ancestry. So it goes through what mountain, river, tribe etc that you come from. Our school now has one, which is great for me, as I don't have one! Right, back to the story. Our activity involved us coming up with a skit, song, or whatever to learn this pepeha and my group somehow came up with doing a cheerleading routine. Totally loved it - and I'm going to take the 5-9 year olds for cheerleading during our performing arts time later this year. Actually - if anyone has some good resources on how to teach cheerleading (not really the tumbling parts) please send me to them! I have no idea what I'm doing. Loving - We have 7 new teachers at my school this year. And they are all young!! YAY. I love making friends with all the people I work with, but it's just so much better when they are close to my age too!! Thinking, Wanting, Needing - School starts Monday. No more explanation needed!! Right, check out these crazy eye videos and judge for yourself! Yup I can't raise one eyebrow... Totally bums me out too!! Check back tomorrow, and I will hopefully have a classroom reveal post for you to check out!! 5 reasons why I'm currently exhausted! School is back - with a vengeance! !